Club site fees are set to offer members the best possible value throughout the year and to be as fair as possible to all members. Nightly fees are payable per pitch and per capita for adults and children aged 5-17 years, and can be found on individual site details pages. To calculate the nightly fee, simply add together the pitch fee and the per capita fees for the number of people in your party, for the appropriate dates of your site visit. On Club owned and managed sites you can pay your site fees by MasterCard, Visa, cash, gift voucher or Site Night Voucher. We don’t take deposits so you pay the full amount when you arrive at site. If you are booking an Affiliated site or a Certificated Location please check the accepted payment methods at the time of booking. All pitch fees include electricity, unless otherwise stated, and VAT at the rate of 20% (which may change). There are no charges for awnings, children under 5 years old, dogs and the use of hot water or electricity (where applicable) on Club-owned sites. Over 40 of our sites offer pitches to tent campers, many with electricity provided on the pitch. The prices for these pitches vary depending on the site. As bookings for Affiliated sites are made through the site direct, it’s best to contact them directly to confirm prices before you book. Overseas holders of the Camping Key Europe Card (CKE) and those in possession of any card that bears the CKE logo, benefit from having the £12 non-member fee waived at Club-managed sites that welcome non-members. 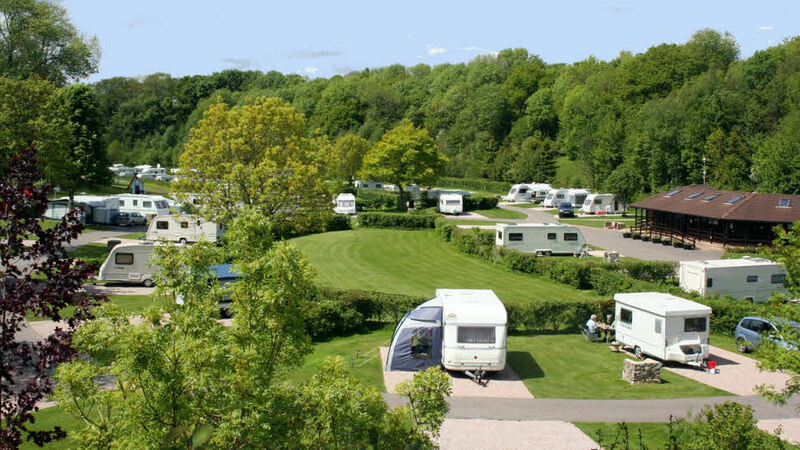 Card-carrying members of the Nederlandse Caravan and Motorhome Club, the Camping Club of Sweden and SF Finland have reciprocal membership schemes with the Caravan and Motorhome Club. Both seasonal and storage pitch fees are fixed.